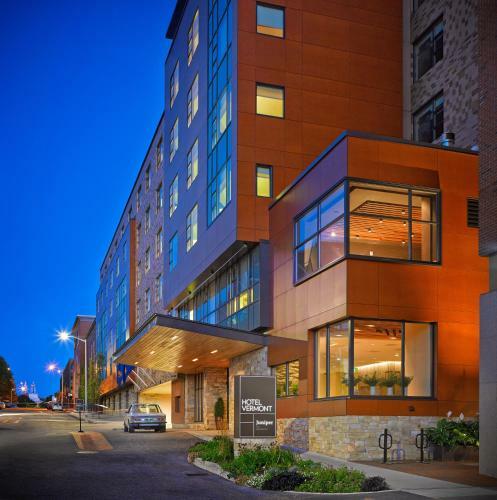 Located in central Burlington, this modern hotel boasts on-site dining and contemporary artwork. Free bicycles and yoga classes are also available. Church Street Marketplace is 10 minutes’ walk away. Located in downtown Burlington near the shores of Lake Champlain, we give you space to be yourself and room to gather. We’re here to help you explore like a local, relax like it’s your job, and soak in every detail. Always turn left out of the hotel. Great turn out tonight for Ray’s birthday set!